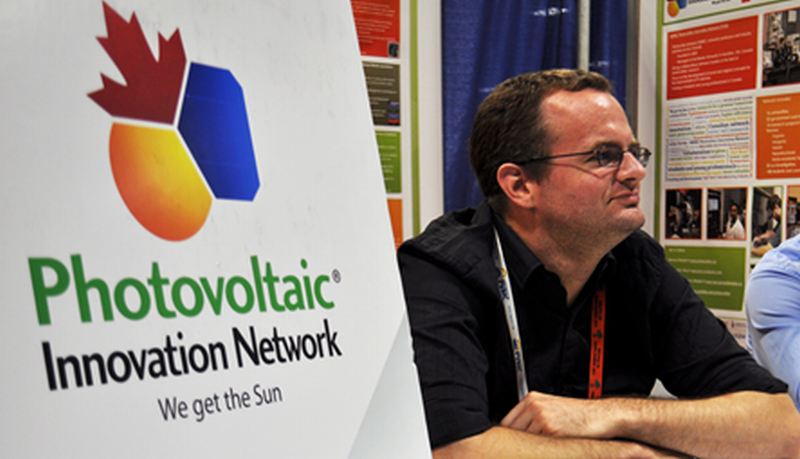 In June, I had the opportunity to attend the IEEE Photovoltaic Specialists’ Conference in Tampa, FL. This is a huge academic conference covering the entire field of photovoltaics, and has been at the center of photovoltaic research since 1961. One topic that got a lot of discussion this year was ‘luminescent coupling’, a process where energy that is lost through photons radiated from one part of a solar cell can be recovered by absorption in another part of the same cell [1,2]. This has potential to change the way that solar cells – especially very high-efficiency multi-junction solar cells – are designed, either through careful control of the internal optics of the cell, or by manipulating materials so that photons are emitted in particular directions where they have a high probability of being recovered. In this way radiative loss, which is an important loss mechanism in multi-junction cells, can be partially suppressed. There is an added benefit to designing cells for very efficient luminescent coupling, in that they tend to be less sensitive to changes in the solar spectrum. Multi-junction cells have traditionally been very carefully optimized to work best under a specific spectrum, but designing for strong luminescent coupling reduces the need to do this, allowing the cell to operate at high efficiency under a wide range of spectral conditions. At this point, it isn’t clear how to approach designing cells to take maximum advantage of luminescent coupling, or even how to evaluate the performance of cells incorporating it. There is likely to be a lot of discussion of this topic over the next year, and it will be very interesting to see how solar cell designs change as a result. O. D. Miller, E. Yablonovitch, and S. R. Kurtz, “Strong Internal and External Luminescence as Solar Cells Approach the Shockley–Queisser Limit,” IEEE J. Photovolt., 2 (3), pp. 303–311, Jul. 2012. M. A. Steiner and J. F. Geisz, “Non-linear luminescent coupling in series-connected multijunction solar cells,” Appl. Phys. Lett. 100 (25), p. 251106, 2012.